Bilder zeigen nicht nur, sie fordern zu Handlungen auf und bedingen diese. Die zunehmende Verschaltung von Technologien, Körpern und Objekten durch visuelle Schnittstellen wie Graphical User Interfaces, Touchscreens oder Augmented Reality Anwendungen macht Betrachter zuallererst zu Benutzern. Planen, Navigieren und Intervenieren sind nur mehr in Kenntnis eines entsprechenden handlungsbezogenen Bildwissens durchführbar. 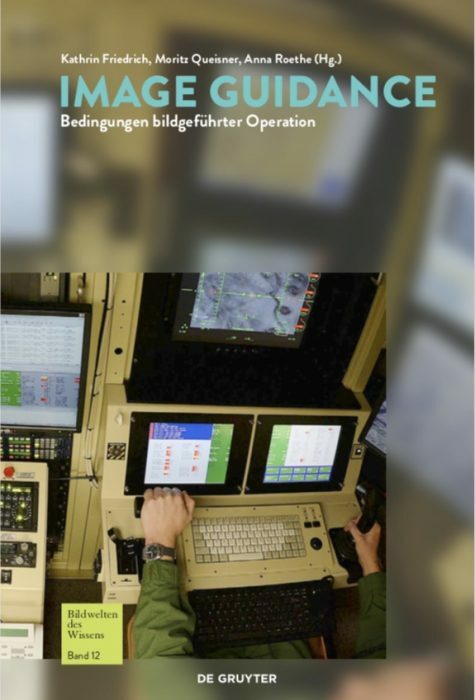 Um die untrennbare Einheit von Darstellungs- und Handlungslogik in bildgeführten Operationen aufzuzeigen, bedarf es einer disziplinenübergreifenden Refexion. Unter dem Begriff ‚Image Guidance‘ diskutiert der Band die ästhetischen, operationalen und epistemischen Bedingungen, unter denen Visualisierungen zu Medien der Steuerung und Handlungsanleitung werden. Die Beiträge analysieren image guidance als Darstellungs-, Wahrnehmungs- und Handlungsprinzip in Architektur, Gestaltung, Medizin, Computerspiel, Militär, Kulturgeschichte und Raumfahrt. 29.–30.6.2017, Cluster of Excellence Image Knowledge Gestaltung, Humboldt Universität zu Berlin, with Nina Franz and Kathrin Friedrich. 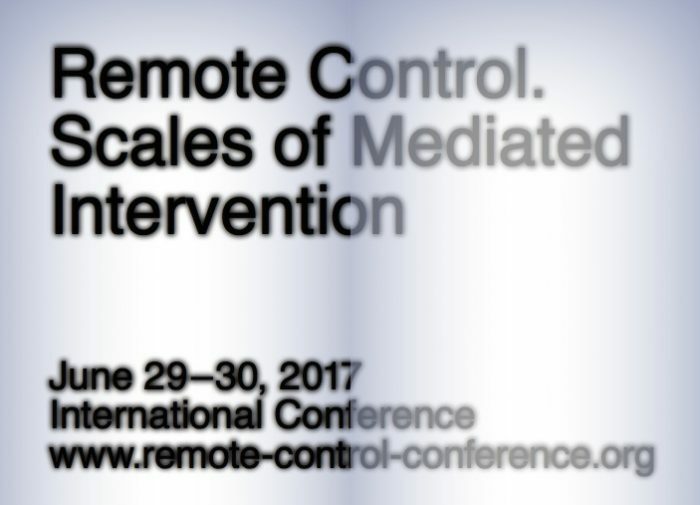 For this three-day conference, we invited scholars from different disciplines to discuss the conditions and scales of remote control in contemporary media practice. Remoteness is a fundamental quality of media technology: producing, processing and transmitting information always transforms the modalities of space.By facilitating action on different scales across ever greater degrees of distance and proximity, technology mediates interventions and facilitates forms of remote presence. But higher levels of automation and distribution have further complicated questions of „remoteness“ beyond mere spatial categories. More recently, in particular issues of remotely controlled real-time interventions in robotics, healthcare or the military open up new debates. Think for instance of situations in which bodily presence is impossible, such as in NASA’s Mars exploration, or of situations in which the possibilities of operation are spatially restricted such as in computer assisted minimally invasive surgery. Here, the presence or the ability of the human sensory apparatus is replaced or augmented by sensor systems. In principal, these infrastructures do not simply enhance action and perception, but facilitate and define the scales and conditions of an intervention. If action and perception are mediated by technical devices, to what extend do these technologies of remote control shape, impact and govern the workflows, autonomy and decision making processes of human actors? What concepts and presuppositions inform the design and the application of these configurations and what are their political implications? The conference covered three perspectives on remotely controlledinterventions that inform each other mutually: first, the practices of remote actionas ways of operating „from a distance“, such as the transmission of commands inrobotics. Second, the infrastructures of remote intervention as ways of defining thepossibilities of action, such as user interfaces, databases or control terminals. Andthird, the politics of remote interventions as a transformation of the relationbetween humans and machines, such as the distribution of responsibility insituations of remote warfare.